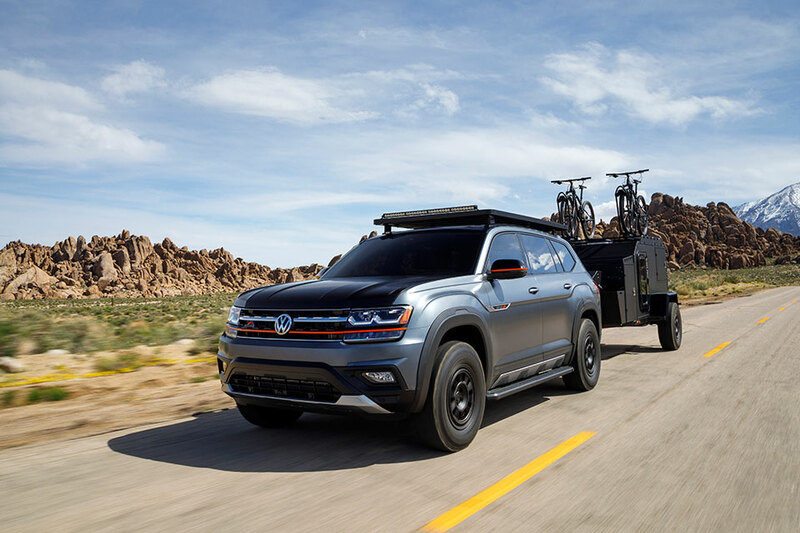 Need some ideas on how you can best utilize the new Volkswagen Atlas SUV? 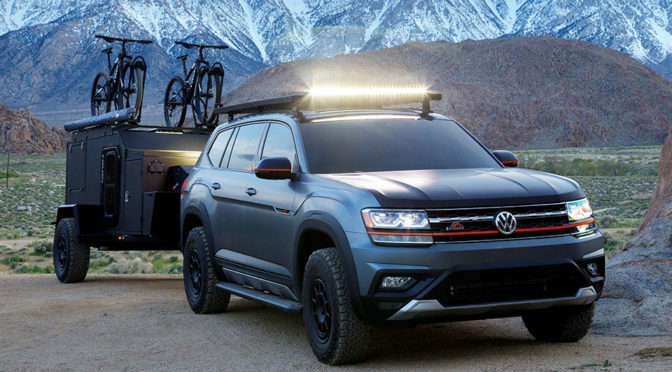 Well, Volkswagen have some really cool ideas which the automaker presented with Volkswagen Atlas Basecamp – a concept vehicle designed with trail seekers in mind. 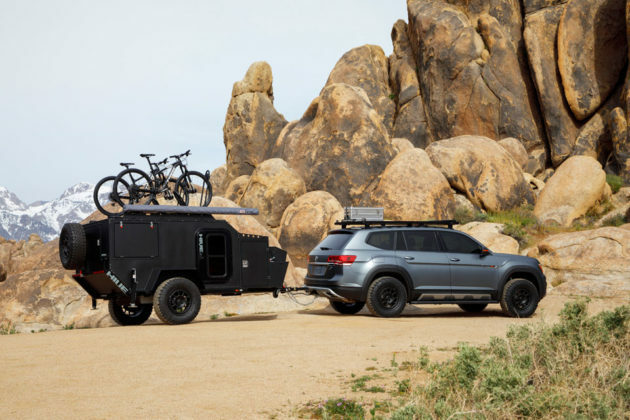 Volkswagen Atlas Basecamp Concept showcased a few of the many ways the Atlas can be used to explore the great wilderness. 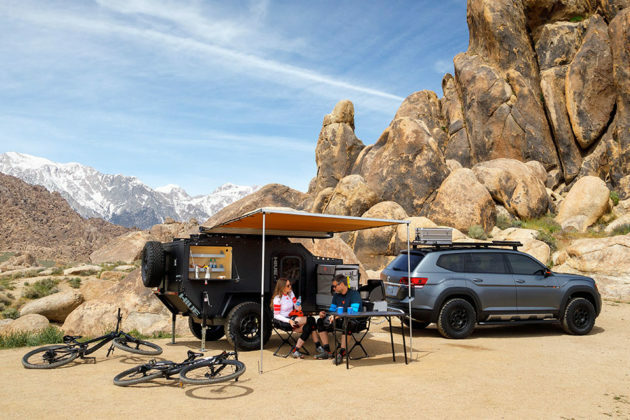 The concept features a custom body, a higher ride height, custom wheels wrapped in all-terrain tires, roof rack with bike mounts and LED light bars. Why bike mounts? Because, it is designed with endurance mountain biking in mind – as dreamed up by Alex Earie, Exterior Design Manager at the Volkswagen Design Center California who, not surprisingly, an avid cyclist himself. 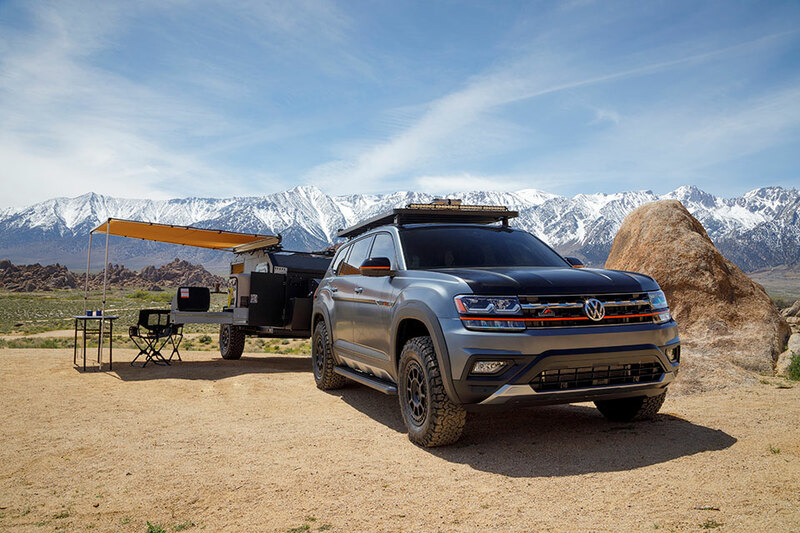 The Volkswagen Atlas Basecamp Concept started its life as a Volkswagen Atlas SEL Premium (from US$48,395) which is powered by a 276 HP 3.6L VR6 engine, paired to an eight-speed transmission and Volkswagen 4Motion all-wheel drive with Drive Mode Selection. It rolls on a set of custom fifteen52 Traverse MX Concept wheels, shod with 265/70R17 all-terrain rubbers. 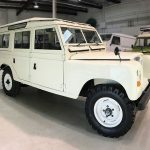 It sports a custom body kit is by Air Design and H&R lift kit with coil over springs is also fitted to bump the ride height by 1.5 inches. 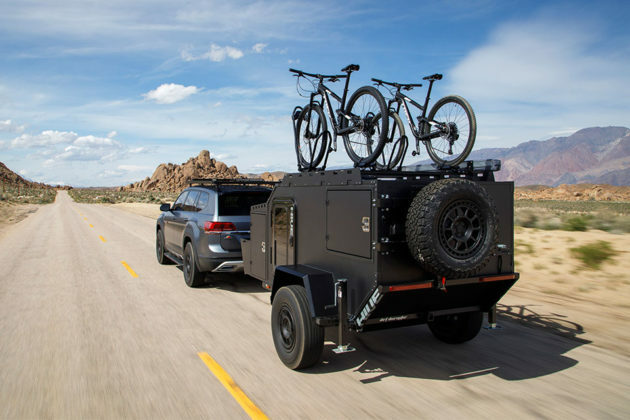 Meanwhile, the roof sports a Front Runner Slimline II roof rack system with bike holders, front and rear off-road LED light bars cleverly outfitted to the roof rack, and some protective interior add-ons pulled from the Volkswagen accessories catalog. 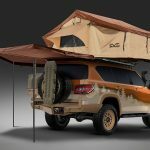 Further reinforcing the idea of off-roading, the Volkswagen Atlas Basecamp Concept is accompanied with an off-road capable HIVE EX compact expedition trailer that boasts matching wheels and tires, a queen-size bed, pullout canopy, and a kitchenette with a full complement of amenities including a self-contained water tank, propane tank, portable toilet, hot shower, and removable leveling jacks. Neither availability and pricing are offered at this point. 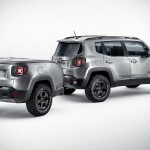 However, the Platinum Gray and Black Uni with matte finish and orange accented concept SUV will make its debut at the 2019 New York International Auto Show, happening from April 19-28, 2019, at Jacob J. Javits Convention Center and later this year, at the the 2019 SEMA Show from November 5-8, 2019 at LVCC. 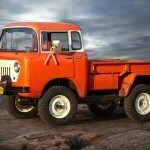 All images courtesy of Volkswagen Group.